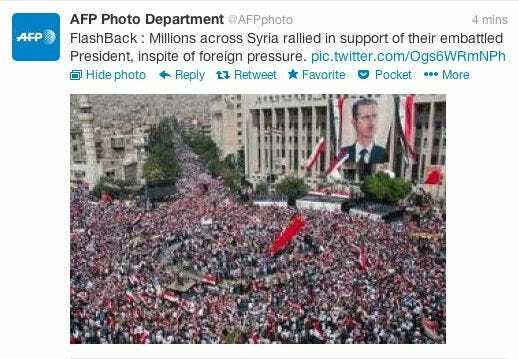 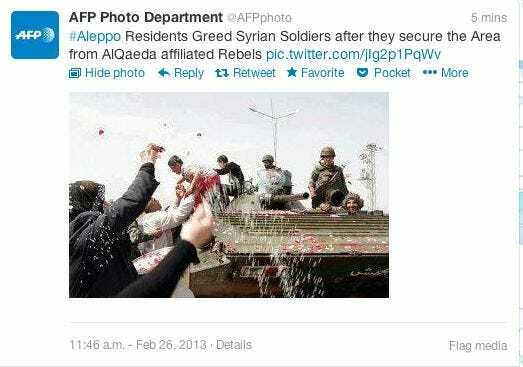 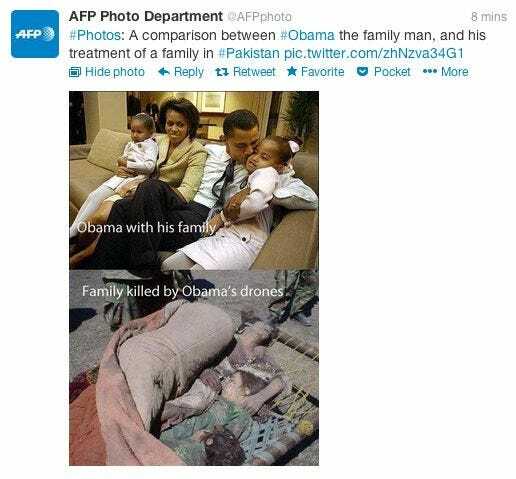 Pro-Assad hackers took over the Agence France-Presse (AFP) Twitter at about noon Tuesday and started posting pro-Assad/anti-Obama tweets and images. 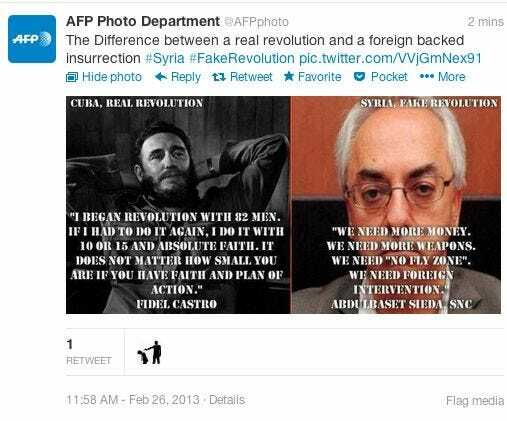 Spokespeople at AFP promptly issued an apology to their followers as the @AFPphoto account is now suspended. 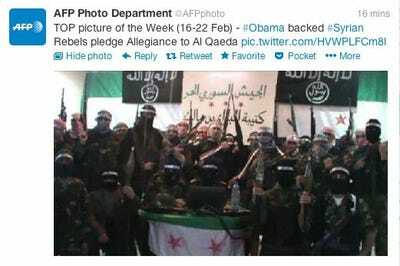 The tactic of hacking social media was also employed during the recent Israel/Gaza conflict, when the vice president had his account taken over, and is one of many tactics employed in the “information war” that underlies contemporary physical conflicts.